Once you have your site up and running, your priority should be to learn as much about them as possible. There are a number of programs that can help you do this. Google Analytics (GA) is free, and can be accessed through a free Gmail account. Register for a free GA account, and you will be given a number and some code to insert on your webpages. If you are creating your site in HTML, you will have to add it to every page you wish to track. You could create a template with the code built in for every new page you create. If you have a WordPress based site, adding the code to the Header area will make all your pages visible to GA.
Clicky has similarly robust reporting, but it is more user-friendly for beginners. Everything is in real time, unlike GA. Its reporting also allows you to study your users in depth, such as by attaching a username and/or email address to their activity at your site. It is able to block robots, so your results won’t get skewed by meaningless clicks. It also offers heat maps so you can see what your users are doing on the page in real time. Crazyegg is fun and easy to use. Add code to the bottom of the pages you want to track, and you will start getting a range of reports on your visitors’ activities. The most detailed is the confetti report, which shows exactly where users clicked. When you click on the dot, you get a full picture of the visitor, how long they stayed, what keywords brought them to your site, and more. You can try it for 30 days free and use all you learn to improve your pages to make them stickier for site visitors. It is easy to use and affordable. Kissmetrics allows tracking, campaigns and populations to track customer behaviors. It also works with email and apps. You can segment, create, manage, and automate the delivery of emails based customer on behavior. Another solution is Open Web Analytics, free software you can download on a range of sites and configure in order to get reports on visitors and track activities such as ecommerce. 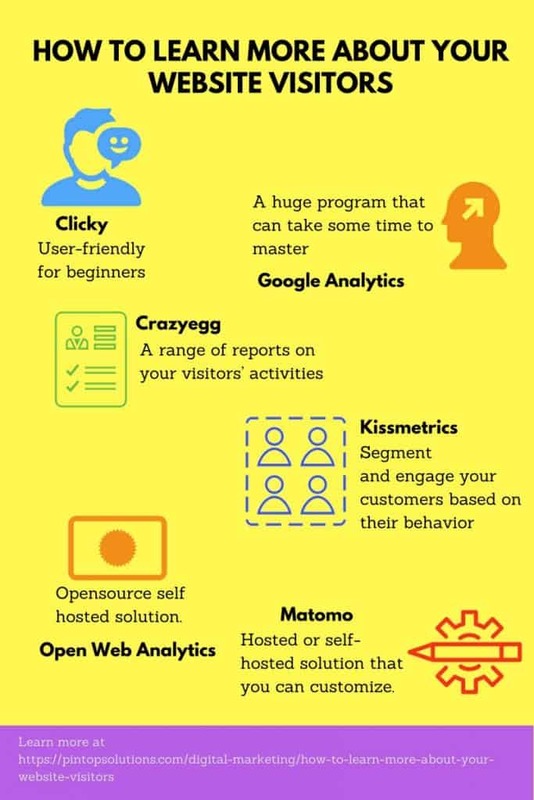 Open Web Analytics is a self hosted solution that you must intall on your web server. 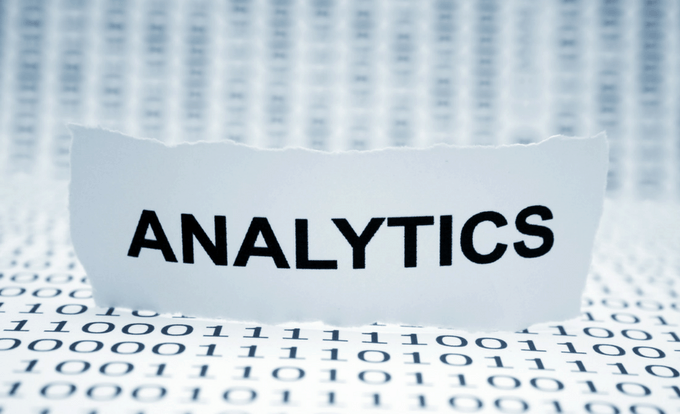 It offers a lot of the same features offered by Google Analytics. Matamo previously named Piwik, is free if you host it yourself on your site, or $7.50 to $40 to have it hosted in the cloud, if you wish. It is in real time, offers customer information, and allows you to create a wide range of campaigns. You can customize the dashboard, write notes on the data, and schedule reports to be emailed to you regularly.